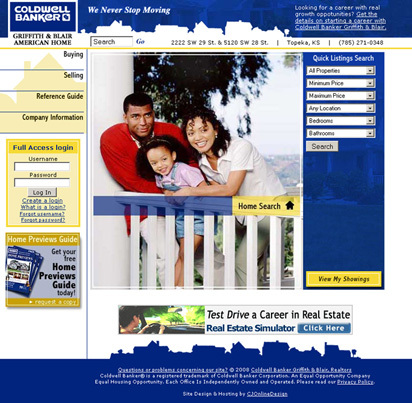 The local Topeka Coldwell Banker real estate company requested a complete overhaul of their website with many new features including a incentive for home buyers and sellers to register with the site. I designed a bright, easy to understand and navigate, friendly design. 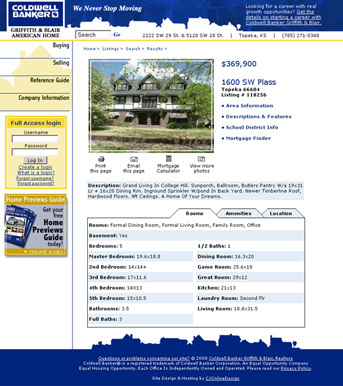 This design guides users quickly to the home search tool and to register with the site. With the launch of this redesigned website, the client increased their online leads by over 50%. Coldwell Banker soon outpaced all the other realestate companies in the Topeka area.